According to an update from the World Health Organization (WHO) Africa division on January 4, 2018, the yellow fever virus outbreak in southern Nigeria remains active. Since December 14, 2018 (Weekly Bulletin 50), 494 new suspected cases and 31 additional yellow fever virus deaths have been reported in Nigeria. This data indicates the yellow fever case-fatality rate is 16 percent. From the onset of this yellow fever virus outbreak in September 2017, through the end of December 2018, 4,004 suspected cases have been reported from all 36 States and the Federal Capital Territory. To reduce this outbreak, more than 1,466,588 million Nigerians received the yellow fever vaccine during December 2018. This preventive yellow fever vaccination campaign is planned to encompass the entire country by 2024. The Nigerian vaccination campaign is part of the Eliminate Yellow fever Epidemics (EYE) strategy, which intends to vaccinate 1.4 billion people in 40 countries by 2026. The high population mobility and suboptimal vaccination coverage within Nigeria and in neighboring countries represent risk factors for the continued transmission of yellow fever, and other diseases, such as Monkeypox, Polio, and Zika. The US Centers for Disease Control and Prevention (CDC) issued a March 2018 travel notice for anyone visiting Nigeria. 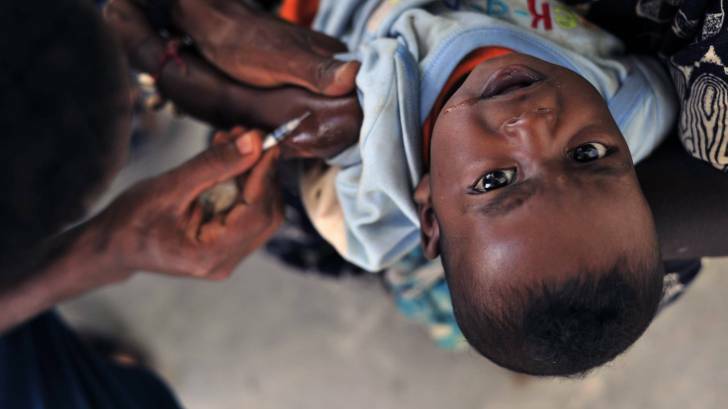 The CDC says anyone visiting Nigeria should be immunized with the MMR, diphtheria-tetanus-pertussis, varicella, polio, and the annual flu shot. Local travel vaccination pharmacies in the USA offer pre-trip counseling sessions and can help prepare need items for the Traveler’s Checklist. Please visit Vax-Before-Travel to schedule an appointment.